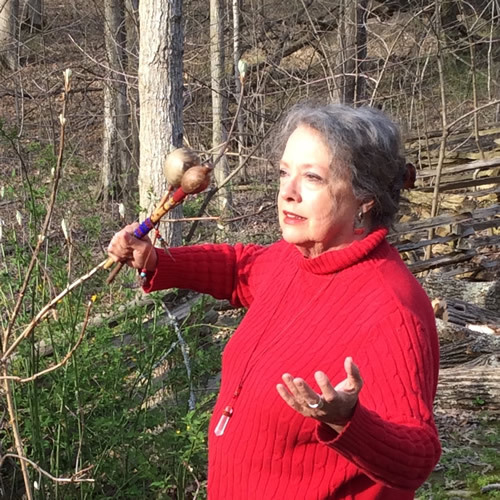 Are you looking for a shaman practioner teaching in Louisville, Kentucky? Do you thirst for a deeper connection with Spirit? Are you drawn to renew your relationship with Earth and the Spirits of Nature? Shamanic experience can fulfill that thirst. Contact Barbara by email at Threehawks@shamansearth.com. We perceive this three-dimensional world with our five material senses. Indigenous shamans have always known a wider range of reality is available to humanity, and traveled into multiple realities for thousands of years. These shamans retrieve profound wisdom and manifest miraculous healing abilities from working in partnership with the compassionate spirits who reside in these alternate realities. Shamans have the ability to communicate with these spirits through the practice of Shamanic Journeying (bodiless travel to alternate realities). One does not need to be an indigenous person to experience the shamanic journey and benefit from Shamanic teachings. People from all over the world have successfully learned shamanic practices . . . and so can you! Experience your connection with compassionate spirits and the cosmos. Come explore the deeper mysteries of the universe in non-ordinary reality and accept the invitation from Spirit that is constantly presented to us; come join the unity of the Creator that is in all of us . . . and in all of Nature. Barbara is available for workshops, presentations, shamanic healing and divination work. Please email or call 1-502-261-9863 for more information.